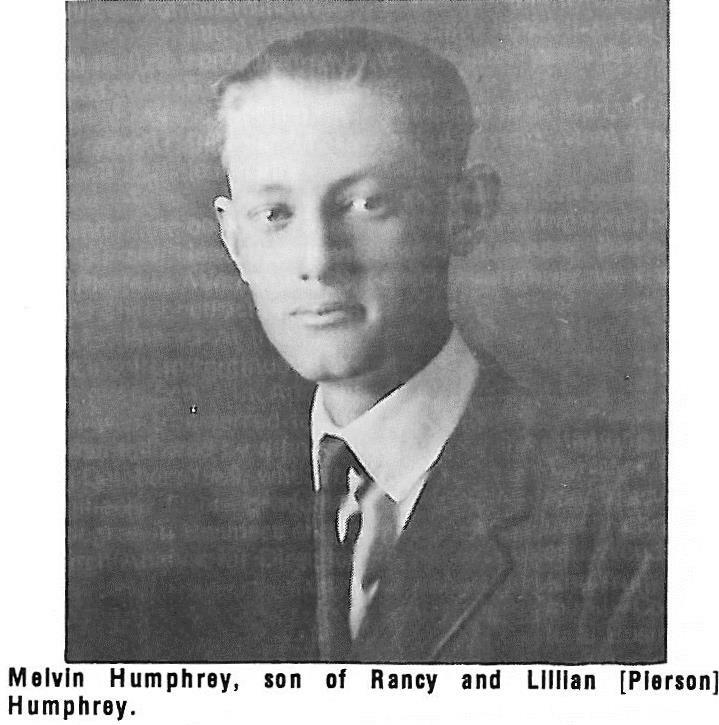 William Ransalaer Humphrey (Rance), the son of Benonia and Elizabeth (Osenbaugh) Humphrey, was born on January 27, 1877 in Maroa, Illinois. He moved with his parents and the rest of the family to Keith County in 1893, where they were early pioneer settlers. Their parents’ home was one of the few in this part of the county built from lumber, most of them being constructed of sod. On January 27, 1904, Rance married Lillian Katheryn Pierson, daughter of John and Kathryn (Zimmerman) Pierson. As a young man, Rance enjoyed hunting wild game (prairie chickens, ducks and quail) to be shipped to eastern markets. The gun he used he gave to his grandson, Gary Wolff. At the time of their marriage, Rance owned a Barber Shop in Ogallala, Nebraska. He had attended Barber College in Omaha, Nebraska. Lillian was a school teacher when they married. Following their marriage, they moved back to the home area to farm, and later moved into Sutherland, in 1907. In 1924, they purchased his father’s home in north Sutherland. In 1931, they built a new modern home, the older house was moved to the north part of the acreage and rented. Their former home is now (1991) occupied by Mrs. Laura Woodard. Rance and Lily were the parents of two children, William Melvin (May 5, 1905 to March 26, 1976 and Velda Merna Wolff, who at present (1991) lives in Hastings, Nebraska. When Rance became ill, their home and acreage were sold, and Rance and Lily moved to Lexington to be closer to their son. Rance passed away on September 24, 1965, at which time Lily moved to Lexington to be closer to their daughter, Velda. Lily passed away in December 1969. Both are buried in Riverview Cemetery, south of Sutherland.